Yes! I want to read Dr. Cutler's FREE CARDIO E-BOOK! e-newsletter. You may opt-out at any time and your privacy is assured. According to the American Heart Association, Nearly 70 Percent of the U.S. Population Has Some Sort of Heart Disease. As a Medical Doctor, I've seen firsthand the devastation of heart disease. I know that every 34 seconds somebody dies of a heart attack in the United States, and one million Americans die each year from hardening of the arteries. heart disease—please read this important message from Dr. Cutler! As a medical doctor, I know heart disease is a physical problem. But I also know it's a big mistake to ignore emotional and mind/body factors as you try to prevent, reverse or eliminate heart disease and heart attack risk. And studies show it can be avoided despite family history! Healthy lifestyle habits, like a heart-healthy diet and daily exercise are important, but research shows that heart patients are four times less likely to die of heart disease if they are taught stress reduction techniques. Yet most people suffering from heart disease don't get the truth about stress relief and other non-physical factors at the doctor's office. 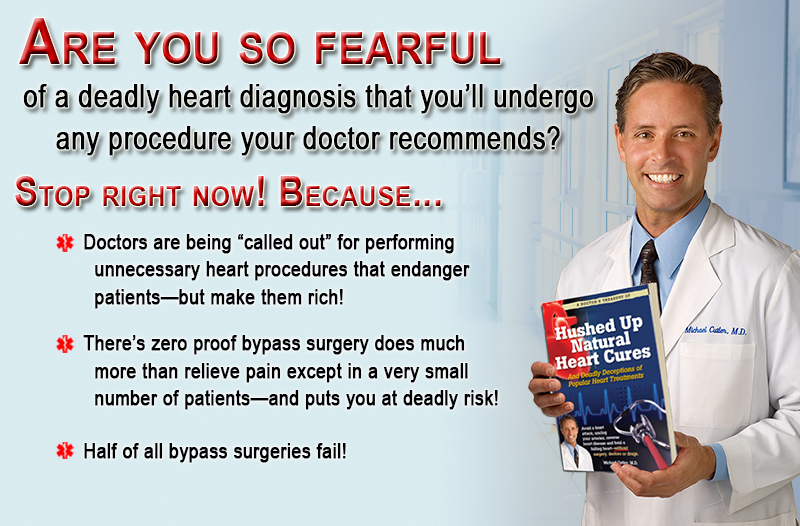 But in my FREE exclusive e-book, Hushed Up Natural Heart Cures And Deadly Deceptions of Popular Heart Treatments, I offer a well-rounded approach to avoiding heart problems including little-known secrets for tapping the emotional and mind/power healing secrets for your heart. 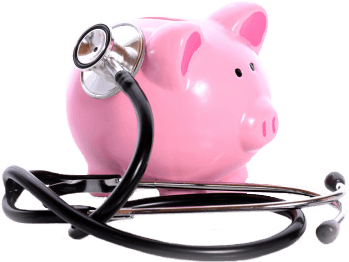 You will also receive a free subscription to Dr. Cutler's Easy Health Options® e-newsletter. You may opt-out at any time and your privacy is assured. Make yourself 500% LESS likely to have a heart attack! 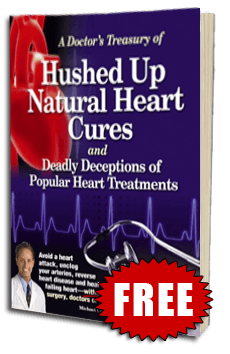 500%, read about it on page 13 of Hushed-Up Natural Heart Cures and Deadly Deceptions of Popular Heart Treatments. Get Your Copy Now!